In sandwich-size food-storage plastic bag, mix sugar and cinnamon. Unroll 1 pie crust on cutting board. Cut into 3-inch-wide strips; cut strips into triangles that look like nacho chips. 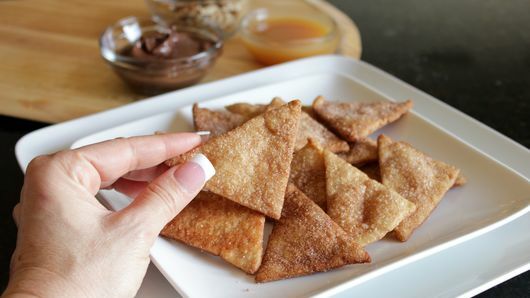 Add a few triangles at a time to bag with sugar-cinnamon. 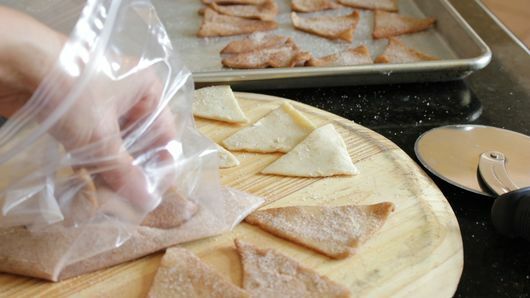 With fingers, toss triangles in bag to coat well. Place triangles in single layer on cookie sheet. Repeat with second pie crust and remaining sugar-cinnamon. Bake 10 to 12 minutes or until chips are golden brown and slightly crisp. Meanwhile, in 2 separate microwavable bowls, microwave sundae syrups on High 5 to 10 seconds or until warm enough to drizzle. Immediately remove pie crust chips from cookie sheet to large plate. 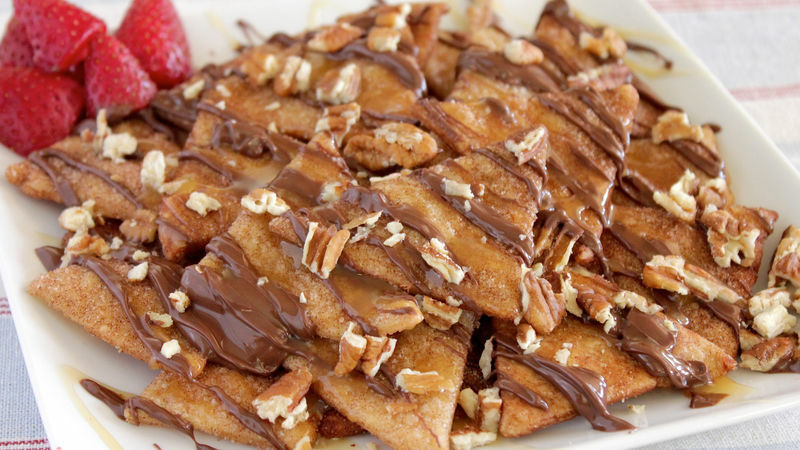 Drizzle with both sundae syrups; sprinkle with nuts. Serve immediately. Marshmallow, chocolate chips, fruit and coconut are just a few other delicious toppings that work with this recipe. Vanilla or chocolate ice cream is a great topping, too.